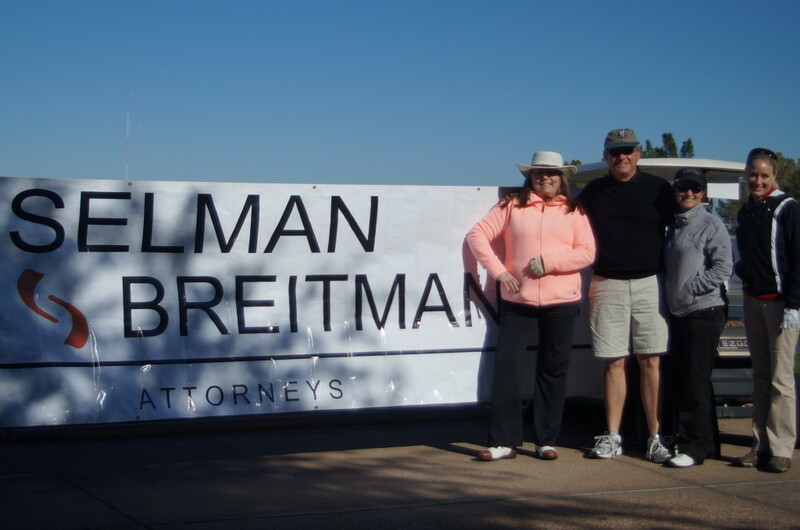 Team Selman Breitman successfully competed in the Will2Walk golf tournament in Phoenix on December 7, 2013. Our team was Rob “Second Shot” Steller, Melanie “3 Wood” Smith, Jen “Pink” Revitz and Liz “Bubba Watson” D’Agostino. We shot three over par and, to our surprise, we won “Most Honest” trophies! As Team Selman Breitman was announced as the winner for Most Honest, the MC noted “Thats why they are our coverage lawyers!” Sweet!